This entry was posted in R and tagged Base, Debian, How to, install, Linux, R, RStudio on November 16, 2012 by Bryan D.
> build and R CMD INSTALL. This was from Jonnie L so thanks to him! another), so that's why they're "not available". That said, you can check out the source yourself (using subversion) and build with R CMD build and R CMD INSTALL. This entry was posted in R and tagged Answer, Question, R, RBG package, RBloomberg package to help out, RStudio on August 3, 2012 by Bryan D.
Get in touch me if you can help this guys out. I live in NYC area. 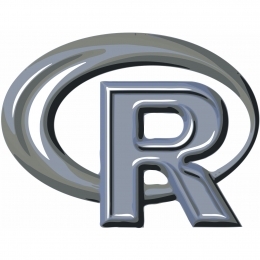 I recently got interested in trying out R for some of quant-financial projects. I have used Matlab before. I don’t think I can make it to the physical meetup, but I definitely to join the virtual one. One of the things for newbies in R like me is where to get user-specific help. In my case, I am stumped by not being able to get RBbg working in RStudio, despite having installed the latest R and RBbg package on my Windows 7 machine. I tried posting on stackoverflow.com, but unsurprisingly it is not of interest to other people since it seems to be a specific problem for my setup. I am happy to pay some money for someone to debug this for me. I contacted Revolution Analytics, but the firm focused on big consulting type of projects. I wonder if you know of resources that may address my needs. Perhaps this will be a possible topic for the webinar. This entry was posted in R and tagged package, R, RBG, RBloomberg, RStudio on July 12, 2012 by Bryan D.